Two Dead, Three Critical After Crash Involving Steven B. Ruttenberg In West Palm Beach | Schuler, Halvorson, Weisser, Zoeller & Overbeck P.A. Steven B. Ruttenberg, a 67-year-old Boynton Beach man, has been confirmed dead after crashing his car into a 2016 Honda Accord on Interstate 95 in West Palm Beach, Palm Beach Police Department and the Florida Highway Patrol said. 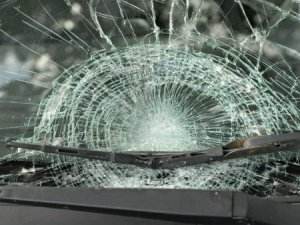 Steven B. Ruttenberg was driving his 2013 Hyundai Elantra southbound on I-95 near Palm Beach Lakes Boulevard when he lost control of his car, veered off the roadway and hit the passenger side of a 2016 Honda Accord, driven by a 34-year old, according to a Florida Highway Patrol report. Ruttenberg appeared to have a medical issue, according to the report. He was taken to a hospital where he died that night. Three people in the Honda were severely injured and taken to a hospital in the County. The driver was also confirmed dead few minutes after FHP arrived at the crash scene. The report indicates Ruttenberg was wearing a seat belt and that alcohol was not involved, but the investigation into the crash remains open. Anyone with information concerning the crash should inform the police, as such a gesture will not go unrewarded.